Puerto Rico had archaic roads, bridges and electricity for years -- long before Hurricane Maria. Then the storm devastated the island's transportation and communication networks. President Trump says "broken infrastructure" was to blame for any delayed response by the federal government. Seven in 10 Puerto Ricans still have no power. Despite the suffering, one of Puerto Rico's leaders sees the hurricane's destruction as a chance for a clean slate. "We have this historic opportunity: Instead of going with incremental changes, we can go and push the envelope to really transform the infrastructure," Economic Secretary Manuel Laboy told CNNMoney on Thursday in New York. "That is the silver lining opportunity that we have." The first sign of that type of sweeping rebuild came Wednesday, when Tesla CEO Elon Musk announced that a children's hospital in San Juan, the capital, is being powered by Tesla solar panels and power packs. Musk wrote in an Instagram post that the project is the "first of many solar + battery Tesla projects going live in Puerto Rico." Laboy, the economic secretary, said Tesla has "five to 10" projects in the works in Puerto Rico, including schools and community centers. Tesla (TSLA) declined to provide specifics. Puerto Rico is even pitching itself as a site for Amazon's second headquarters. Laboy declined to provide specifics but said he sent Amazon (AMZN) a lucrative package of incentives to consider. He sees the island's recovery as a selling point with Amazon, in addition to Puerto Rico's educated and bilingual workforce. "The opportunity to transform the infrastructure ... for me, that is a very powerful message," Laboy said. Of course, Puerto Rico has to get the lights back on before it can carry out big plans. And that hasn't been easy, nor without controversy. 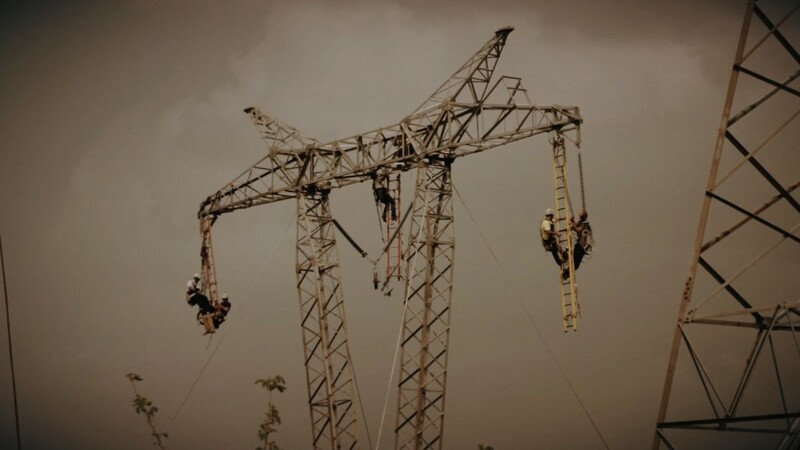 The utility company, PREPA, found itself under fire after it gave a $300 million contract to an infrastructure repair company, Whitefish Energy. The company only has two official employees, though it's hired hundreds of subcontractors to help restore the power grid. Investigations are under way into the the contract's procurement. Critics say the contract is bloated and didn't go through proper bidding. Beyond the physical damage, Puerto Rico must overcome vast other challenges to rebuild an innovative infrastructure system. Unemployment is high, and some the island's young, educated class has been leaving for the mainland United States for years. Some fear the hurricane's destruction could expedite the exodus. The island's government also filed for bankruptcy last spring. But Laboy says those challenges shouldn't prevent Puerto Rico from thinking big. "We need to be bold and we need to transform the system," he added. "That is going to be the key for the recovery, and the sustainable economic growth that we are aspiring to have in Puerto Rico."